Wild turkeys were were native to North America long before Pilgrims came. The Native Americans used the turkeys for food and clothing. Native Americans taught Pilgrims to hunt. 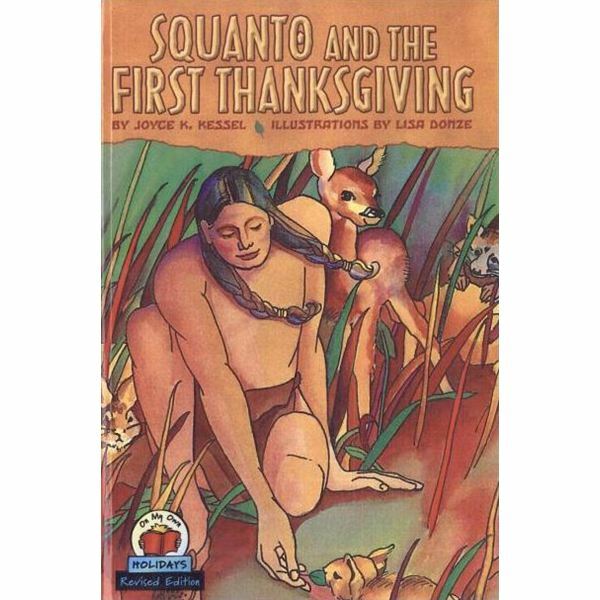 Read, Squanto And The First Thanksgiving by Joyce Kessel. Provide each child with a coffee filter. To create colorful feathers, instruct each child to color the coffee filter with markers. Instruct the children to fold the colored coffee filter in half, four times (quarters). Immerse the point of the folded filter into a bowl of water. The water will seep upward, bleeding the colors. Unfold the filter and set it aside to dry. While the colored filters are drying, cut a turkey body from a piece of brown construction paper. Glue the dried filter on to the body of the turkey. Adhere wiggle eyes and a beak. Display the sun catchers in a window. Create two sets of pre-cut turkeys. On one set, write numbers 0-9, and on the other set, write numbers 1-9. Say a two-digit number, then instruct one child at a time to combine two turkeys to form the number. Make a list of turkey and Thanksgiving words. When the list is complete, create a short Thanksgiving story using the listed words. We've made you nice and fat.